Since mobile phone has become an integral part of our life we choose the best among the best. So we take ample time to select one phone which fulfils all our requirements adequately. In order to purchase the best phone for us we compare the selected product with many others available in the market. But it becomes a tough decision to take when the comparison is made between two phones with largest display and some other grand features. This very particular thing happens when the debate Samsung Galaxy Alpha vs. iPhone 6 arises and we have to select between two very popular phones in the market. Their day by day growing supremacy is making the competition all the tougher for us. But definitely there are certain features which can be used as proper yardstick to determine which one is the best for you. Samsung Galaxy Alpha is a popular product manufactured by Samsung and iPhone 6 is also a demanding product manufactured by Apple. There are some similarities as well as differences in their features. Size and Hardware Design– Samsung does not allow a mini size or dimension; it involves a grand monster size. The metal back of the Galaxy Alpha allows diminishing off some weight and thickness. This very hardware design is similar to the design of Galaxy Note 4. Again in case of Apple things are completely different as it favours the small size. For years. The entire body of it is covered with a refined quality of aluminium. v Performance – If we compare the performance of Galaxy Alpha and Apple iPhone then one should keep in mind that both of them incorporates in-house chipsets. In case of Apple it uses dual core CPUs which run with a speed of low frequency. But Samsung deals with advanced ARM Cortex core which also implies that all the eight cores can be put under run at once. v Connectivity – Both are different in their nature of connectivity in local or wide area. Apple is generally comes with both CDMA and GSM as its main market is USA while Samsung Galaxy only allows GSM devices. 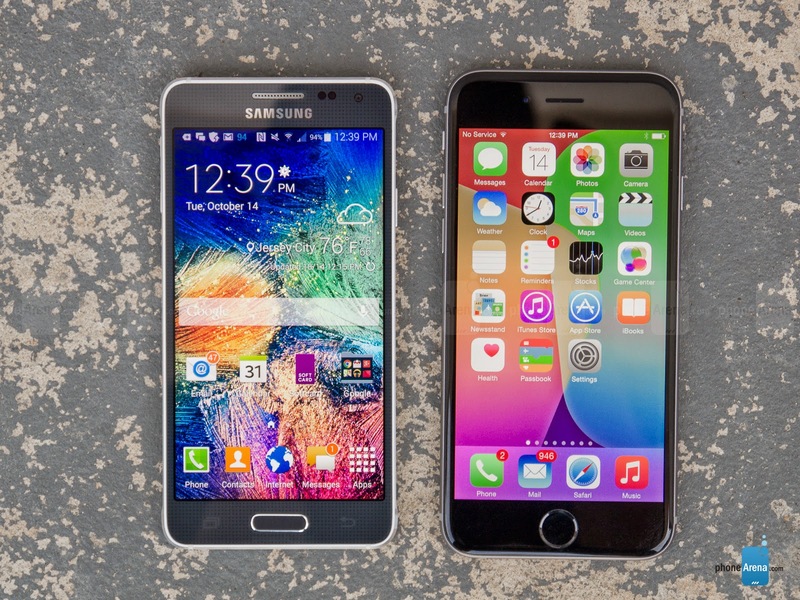 Samsung Galaxy Alpha vs. iPhone 6 is one of the most current hot debates. But both of them are different in their hardware, display, connectivity, user interface and performance as a whole. But both of them are unique in their features.